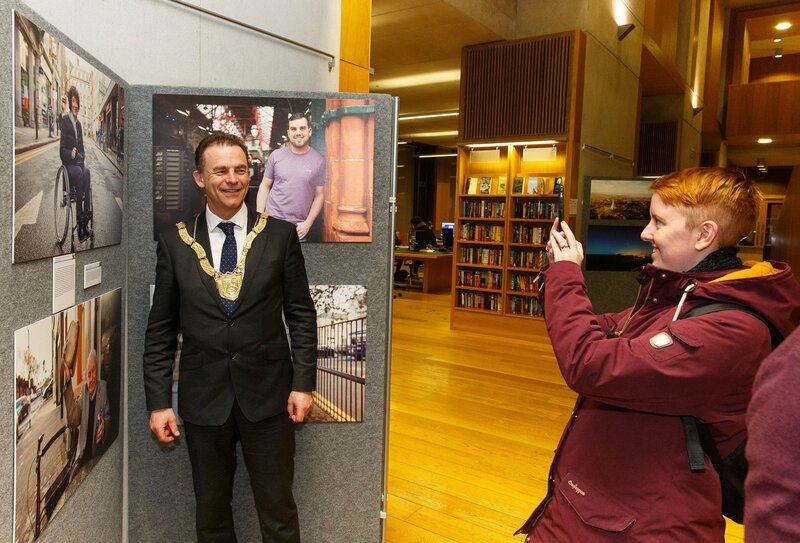 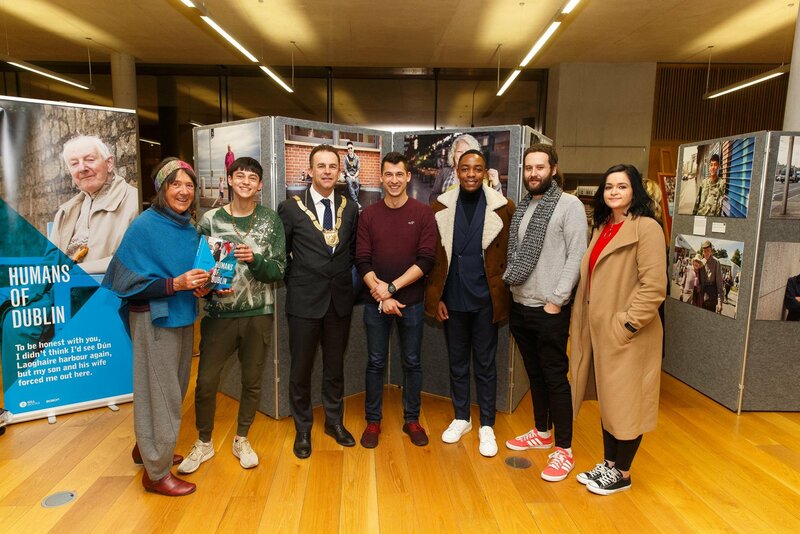 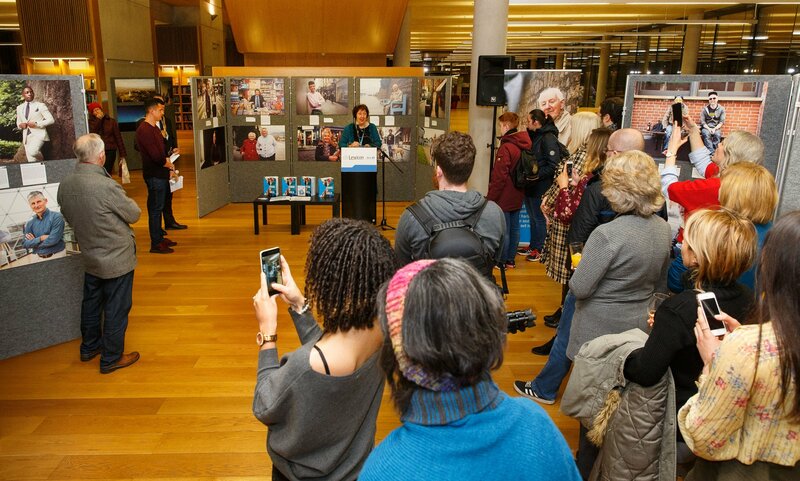 dlr Libraries are delighted to announce that an exhibition of 60 portrait photos by Peter Varga from his acclaimed Humans of Dublin series was launched by An Cathaoirleach Cllr. 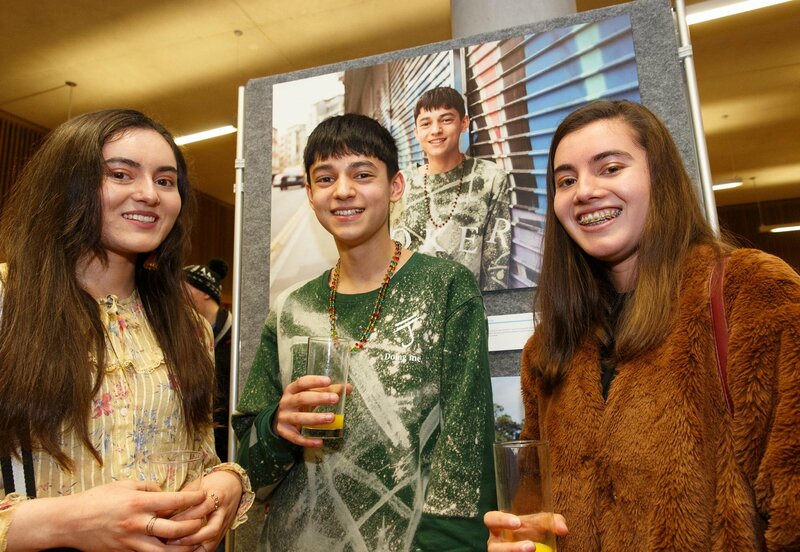 Tom Murphy on 10th January. 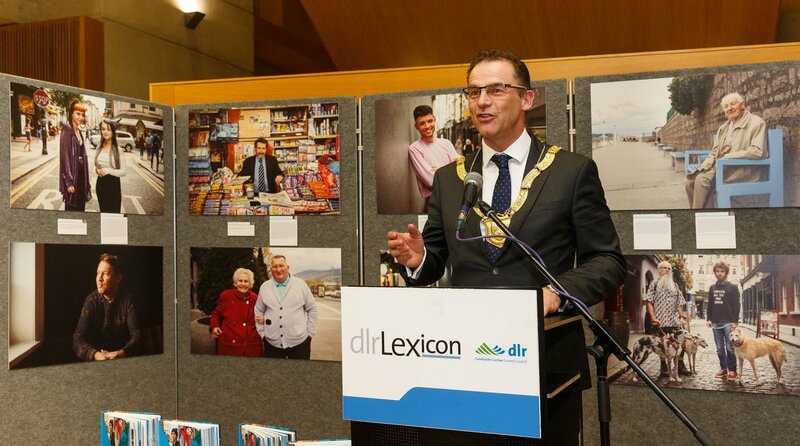 It was attended by many of those featured in the photos on display on Level 3 at dlr LexIcon. 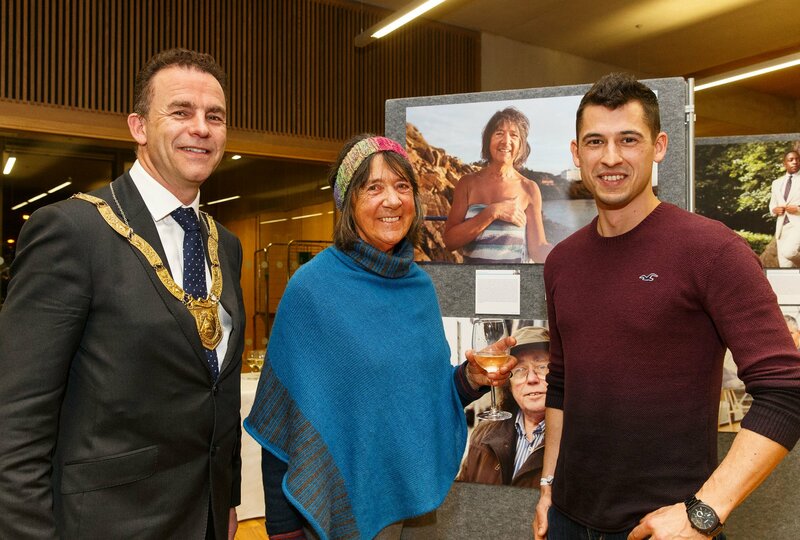 Peter Varga was working in a Dublin café when he decided to follow his passion and dedicate himself to photography. 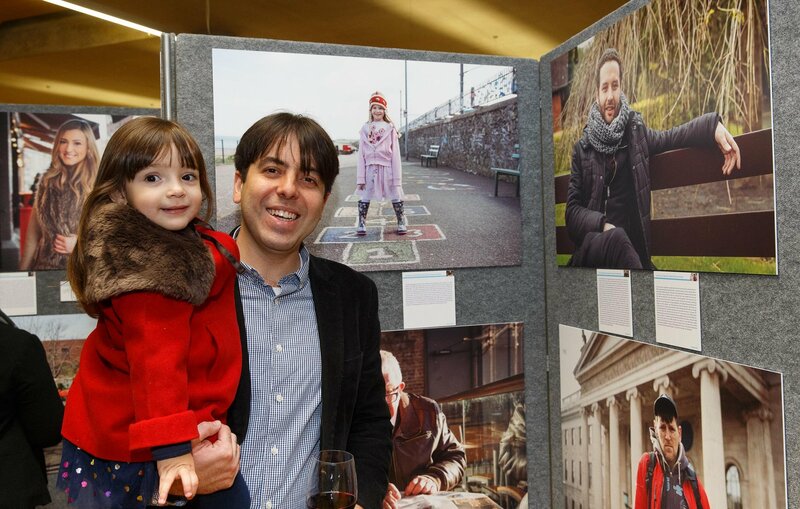 Inspired by the success of the Humans of New York project, he began to walk the streets of Dublin interviewing and photographing those he met along the way. 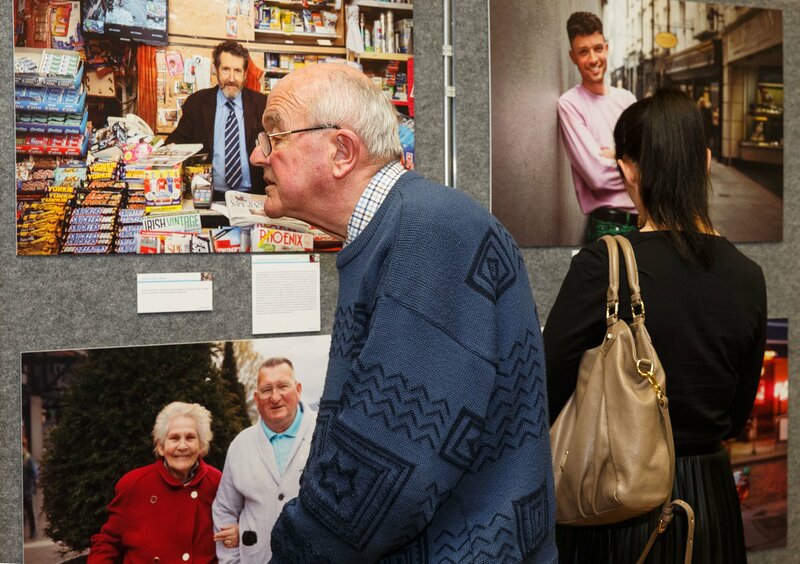 What he uncovered were the powerful stories that hide in plain sight as we rush about our busy lives, often too busy to notice. 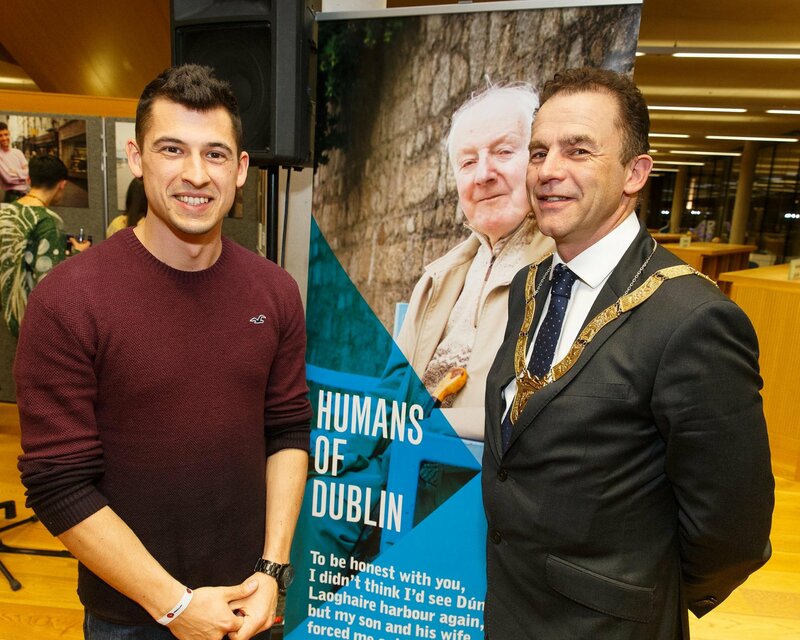 So began the social media phenomenon that is Humans of Dublin whose social media pages have over 175,000 followers. 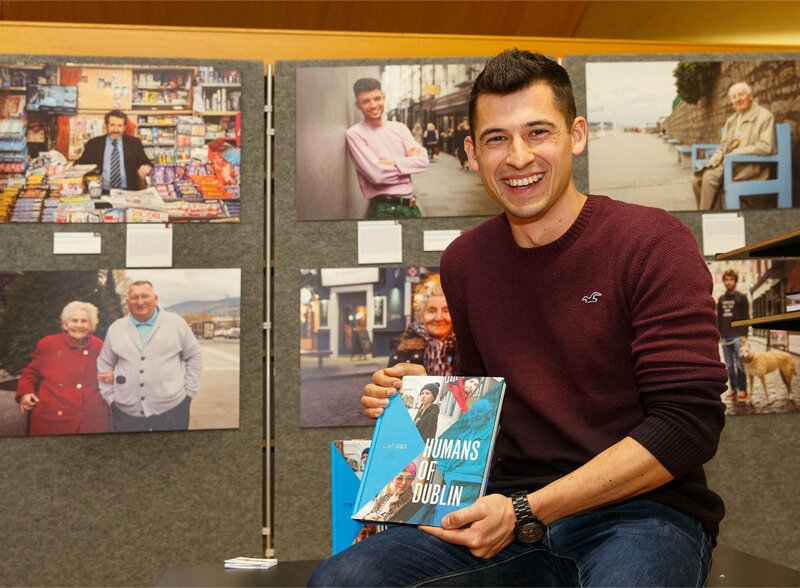 There are tales of inspiration and joy and those of heartbreak and loss, all of human life is present in this remarkable portrait of a diverse and vibrant city. 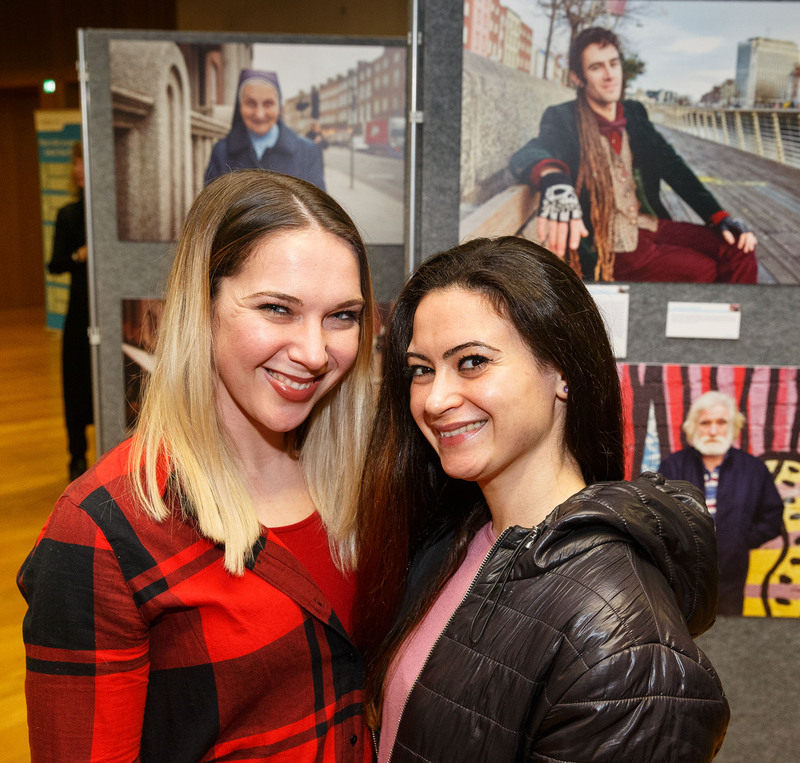 Quite a few of the photos feature portraits of people from this area and Peter has an additional series of 10 stunning photos of Dublin city and county landscapes. 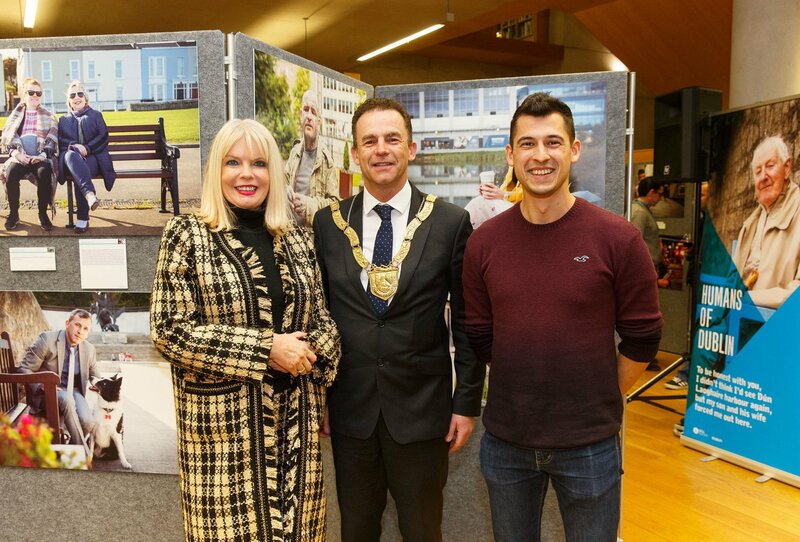 He loves experimenting with different angles, light and weather conditions and he has some intriguing drone shots that will keep you guessing re the location! 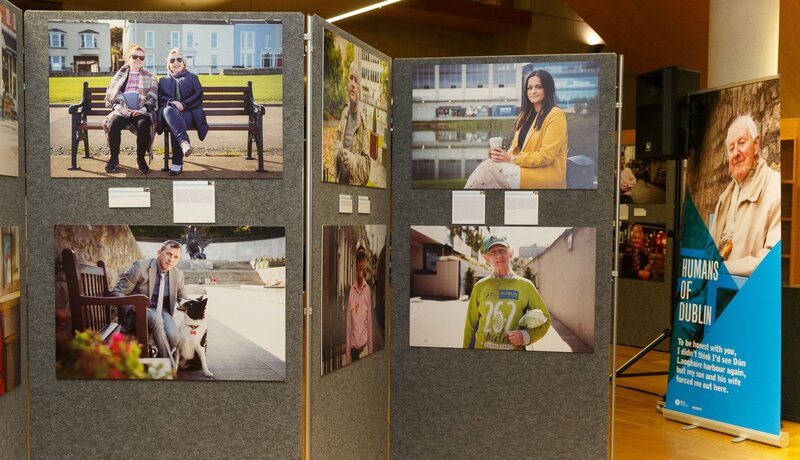 So, during the next 3 months here in the LexIcon, whether we mark First Fortnight – Ireland’s mental health Arts Festival, or the Cities and Stories strand of this year’s Mountains to Sea dlr Book Festival in March, this important exhibition will, to quote Varga, ‘help you to enjoy discovering more about the ordinary extraordinary people who pass you by every day’. 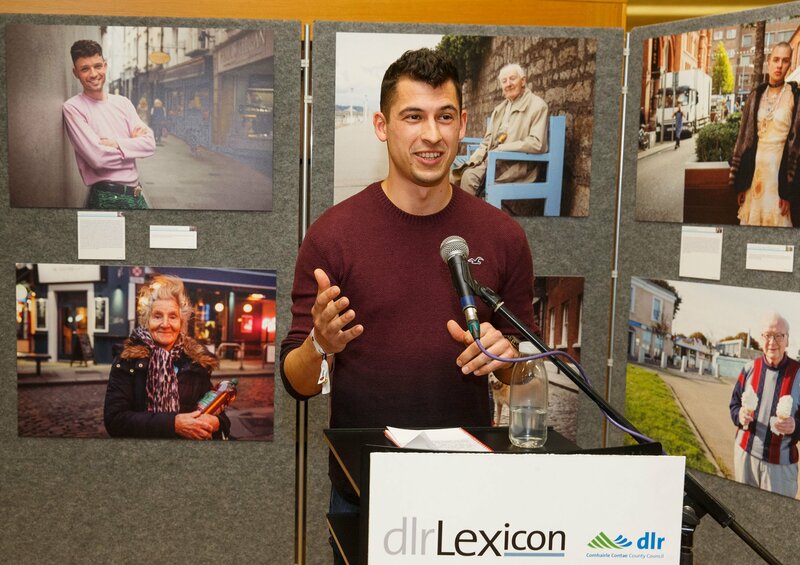 During the course of his work, Peter has worked in partnership with many organisations including Pieta House, Electric Ireland and the Simon Community and most recently with Focus Ireland and Irish Rail.